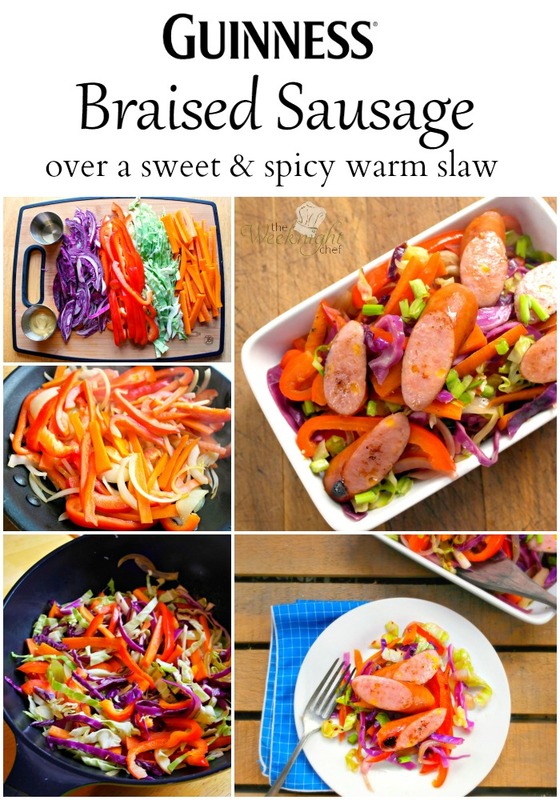 This yummy beer braised sausage recipe offers taste of summer year round! Guiness beer. Sausage. Peppers. 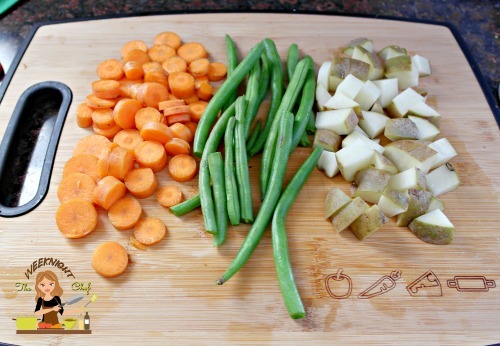 Those are just a few of the ingredients that make this dish a stand out! That Guiness beer also makes it just perfect to serve as a St. Patrick’s Day meal! 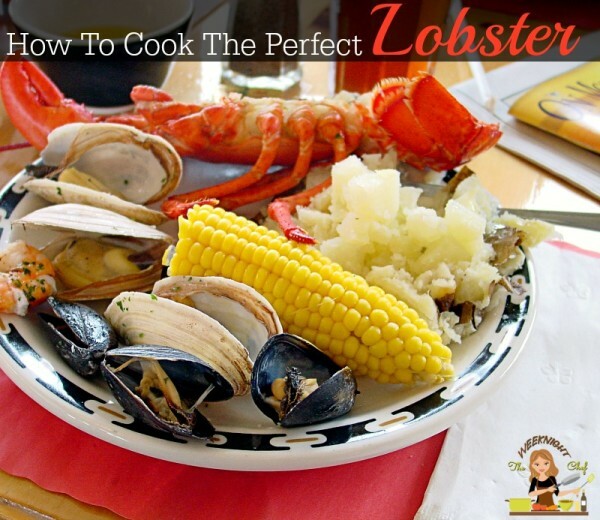 For this recipe you won’t need your grill, so if it is stored for the winter .. not a problem. 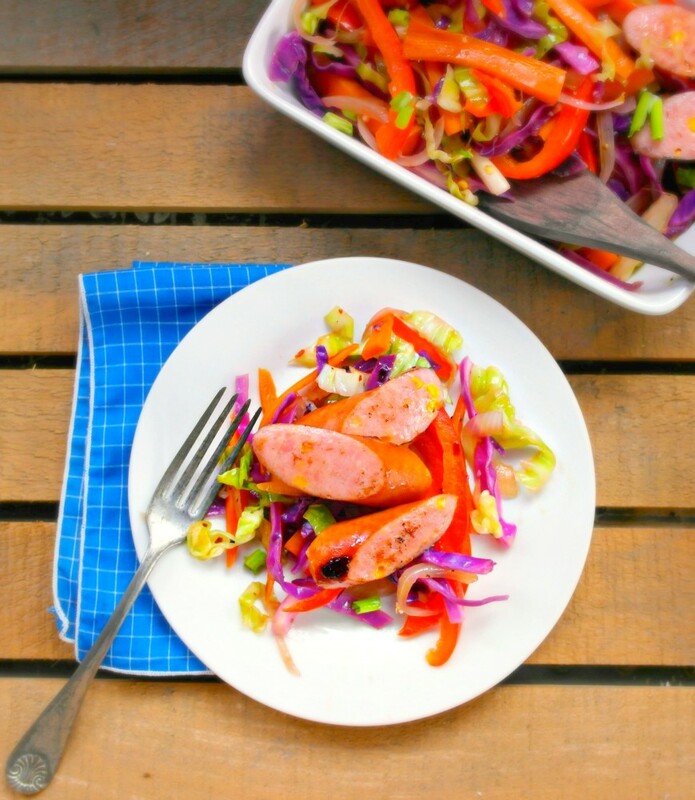 This sausage is braised and slow cooked in beer and served over a slaw. No, not cole slaw – that would be for summer. We are talking about a warm slaw with a kick. Sweet & spicy to keep you warm this winter. 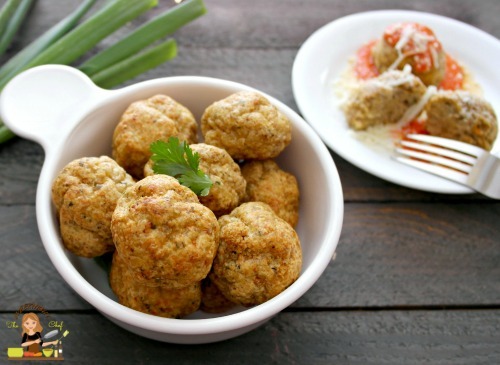 The recipe is easy to adjust the spice level just in case you are not a fan of spicy. Just look at all this color ! 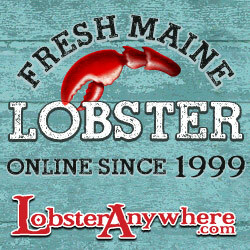 Fresh, crunchy, flavorful. It won’t be long before this is a new favorite in your household. Add the beer, mustard and a pinch of salt & pepper. Bring to a boil, reduce to simmer. Cook for 15 minutes covered and an additional 10 minutes without the cover. Remove the sausages from the pan and set aside. Mix in the vinegar, sugar, garlic and seasonings. 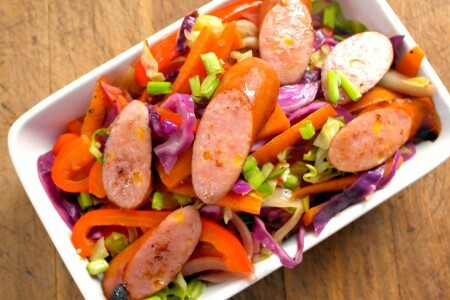 Saute for about 10 minutes, add sausage back to the pan on top of the slaw. Heat through together covered until sausage is warmed again. 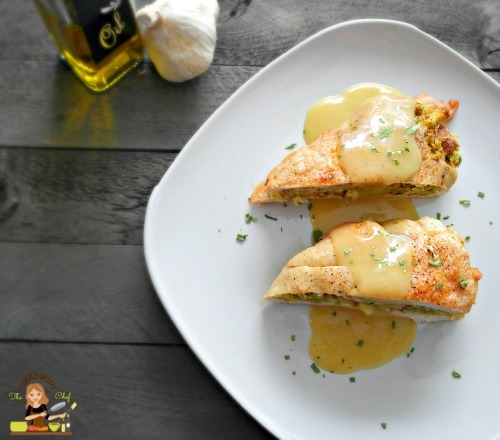 Serve hot with a drizzle of dijon mustard! There is only one time of year for burgers… ALL YEAR! I personally never put my grill away, no matter how much snow. We keep it covered and close on the deck. One trick I learned that works amazing for burgers indoors, is to sear it on high heat real fast (about 1 minute each side) and then finish them in the oven on about 400 for 10 minutes. 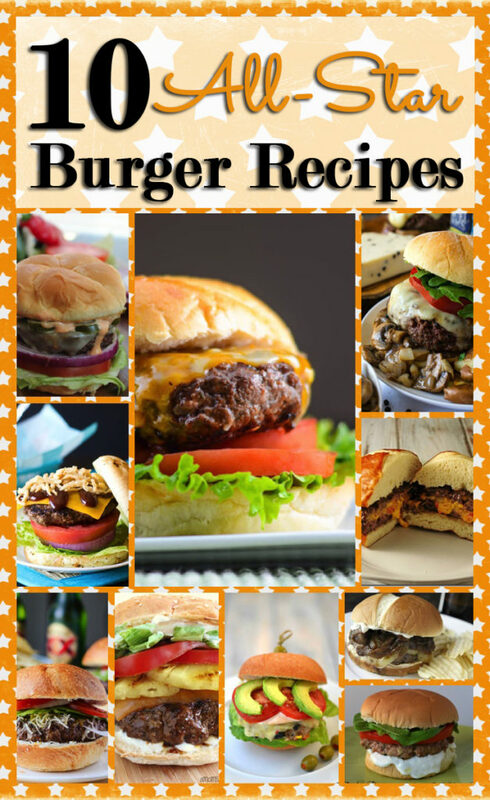 If you are stuck inside for the winter and want a taste of summer, try one of these great burgers! 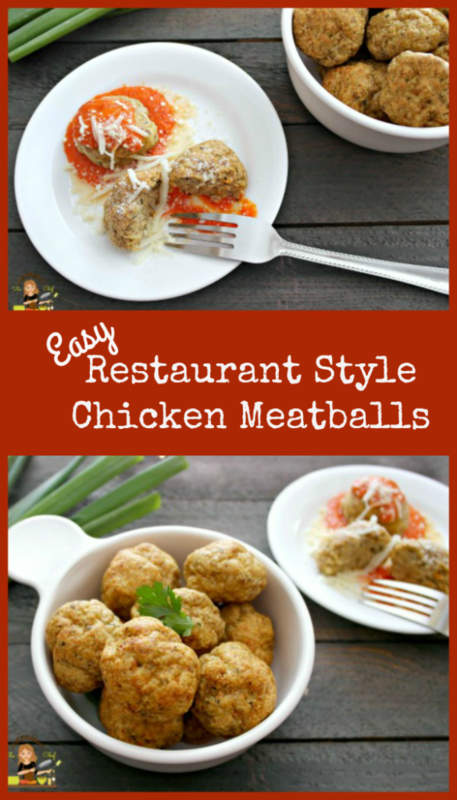 Craving a hearty, warm you up kind of meal on a cool , drab day? This is the perfect recipe. 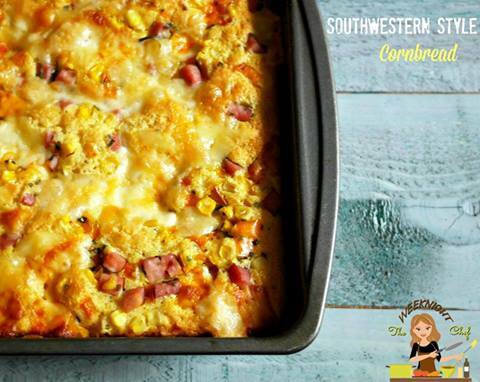 Add some mashed potato and you will be on your way to a comfort food coma! Using the technique shown in the video below, butterfly each chicken breast. 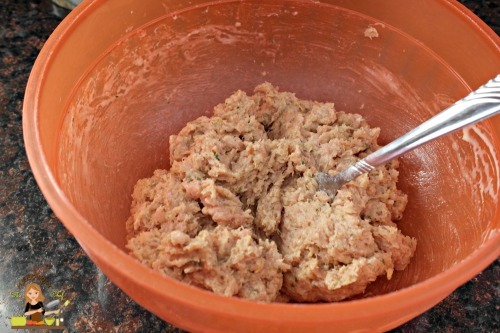 Fill with prepared stuffing, be careful not to over stuff you want the chicken to fold closed easily. Bake on 350º for about 30 minutes , cook times will vary, make sure your chicken is cooked thoroughly, stuffed meat tends to take longer. 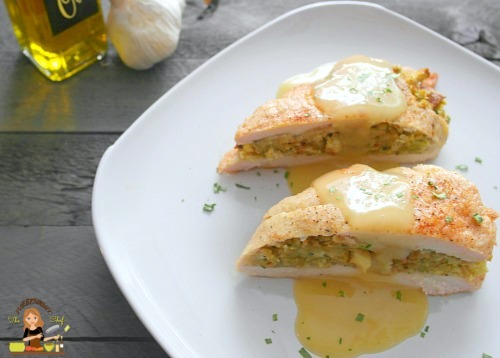 Cut in half diagonally, serve with gravy! Packet method- Well, the quickest and easiest way to make your gravy may not be considered homemade, but at least it doesn’t come from a can- mix one chicken gravy packet into 1 cup of water, whisk well and microwave on High for 2 minutes. This will bring the liquid to a boil. Mix, then let sit. Will thicken upon standing. Bouillon cube- This is quick also, but I think it can be too salty. 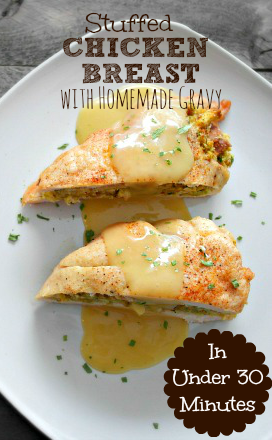 Usually I make my own gravy from pan drippings, this recipe just doesn’t create enough to do that. Dissolve the cube into 1 cup of water, heat on High in the microwave for about 2 minutes. 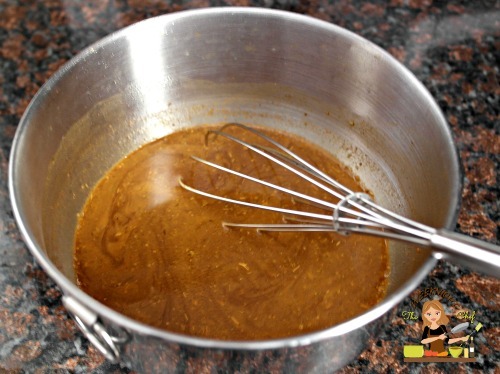 Mix the flour into 1 tablespoon of water to create a slurry then add it to the chicken bouillon. Mix well, heat on high for 1 minute, mix, then let sit. Will thicken upon standing. Chicken has a really low fat content, so if you do not cook it just right it will turn out dry. To compensate for this I used mayonnaise in the recipe. It is commonly used to keep chicken moist. Win.win. 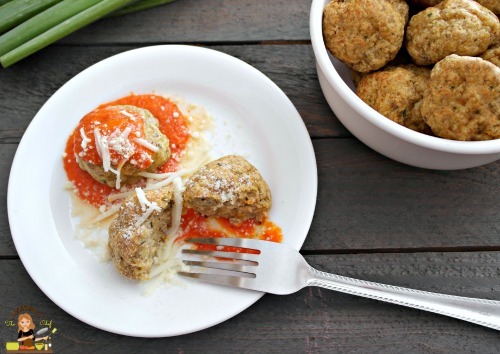 Even if you are a die hard fan of beef meatballs, give these a try. You will be surprised, I was! Note* If you do not have all of the seasonings above, it is ok the seasoned bread crumbs make up for it. 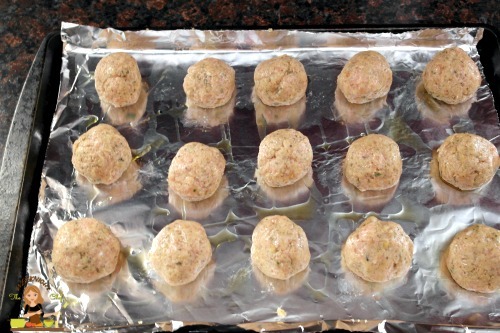 Drizzle a cookie sheet with olive oil, roll mixture into 2-3 inch meatballs. 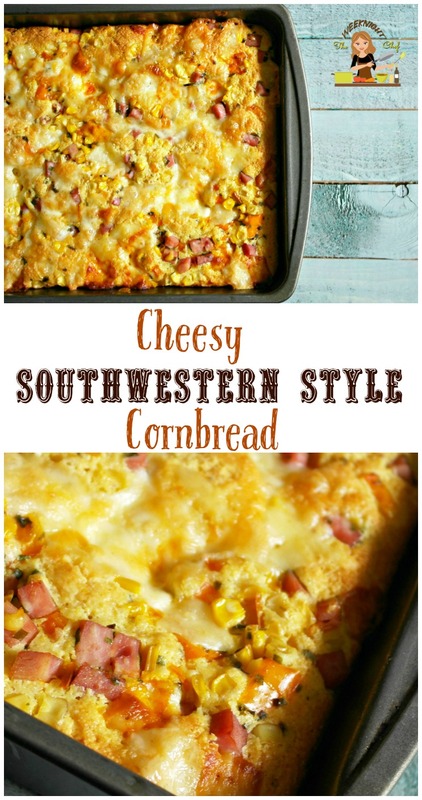 Place on the cookie sheet and bake for about 15-20 minutes. You want to make sure to cook these all the way through since it is chicken. Do not be afraid to cut one right in half to check if you don’t have a meat thermometer. 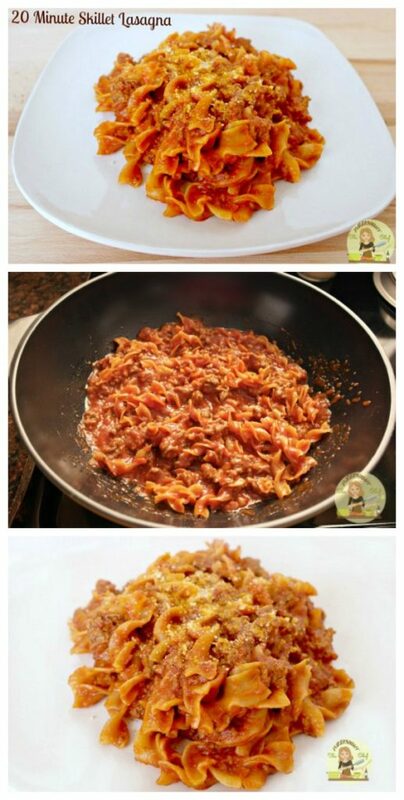 This is one of those easy, single pan in a hurry kind of dishes that you can make any time. 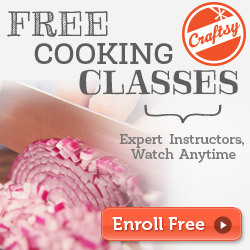 The ingredients are few, the cook time is short and there is virtually no prep time. The end result is still a satisfying, homemade meal that was not handed to you in a paper bag with a bill. 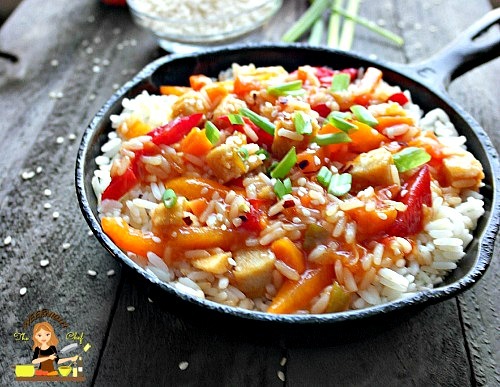 Sweet & Spicy Chicken with Rice can also be made ahead of time and frozen! In a large skillet on medium high, add the olive oil , then heat the chicken for about 3 minutes. Add the carrots & peppers, stir, cook for about a minute. Add the rice, water and 1/2 the bottle of Franks Sweet Chili Sauce. Mix. 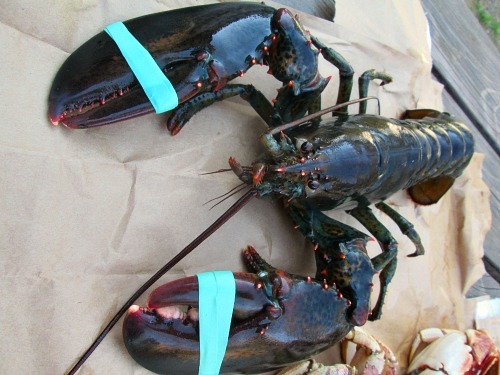 Bring to a boil, reduce to simmer, cover and cook for about 15 minutes. 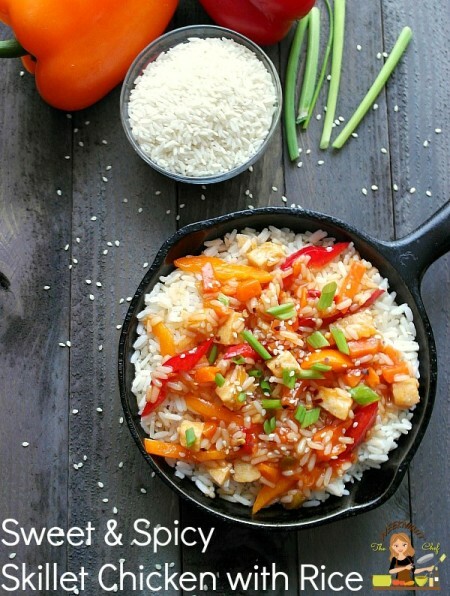 TIP* Cooking white rice is easy if you do this one thing…. DO NOT take the lid off during the cooking process. White rice is usually cooked by steaming. Removing the cover let’s out the steam. You may have some sticking on the bottom of your pan, but that is just part of it and better than uncooked or mushy rice. Top with the remaining Sweet Chili sauce and serve! Beef Stew is one of those dishes that most people think has to cook all day or for hours to taste good. It is true that the longer the cooking time, the more flavors and tender the meat is. But, this recipe is different. This recipe will achieve the same in about an hour. So, if you come home from work cold, tired and craving something to warm you up, homemade beef stew IS possible! Follow the steps below and enjoy! 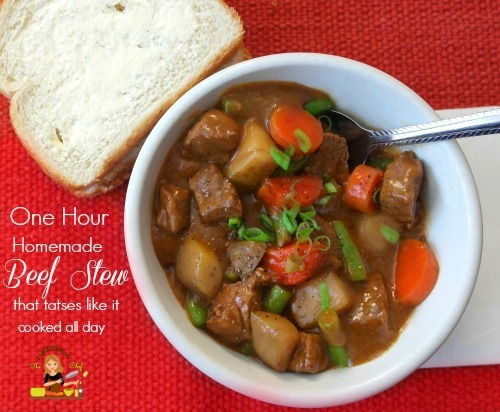 *TIP* Do not buy pre-cut “stew beef”, it is usually a cut of meat that is more tough since most stores expect that someone making stew will be cooking it all day or using a slow cooker. 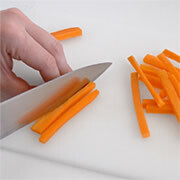 Instead pick out a more tender cut of meat and cube it yourself. 3. 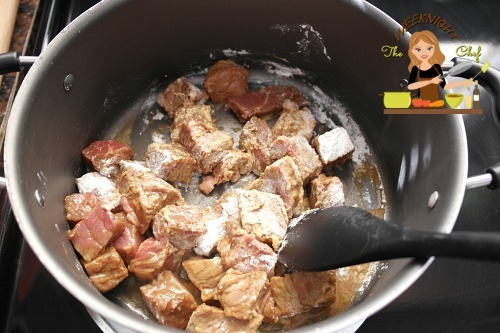 Whisk together the beef stew packet and 3 cups of water, pour slowly into the pot, mix well. Add all the veggies except the peas or green beans. Add those 15 minutes before finished. 4. Bring to a boil, immediately reduce to medium low ( about a 2-3 on your dial, stove tops vary heat should be hot enough to cook but not boiling) for about an hour. This tastes wonderful served with fresh bread. Normally I use this easy biscuit recipe , but I was not in the mood so we just had buttered bread. Gone are the days when lasagna was reserved for a Sunday dinner or special occasion. 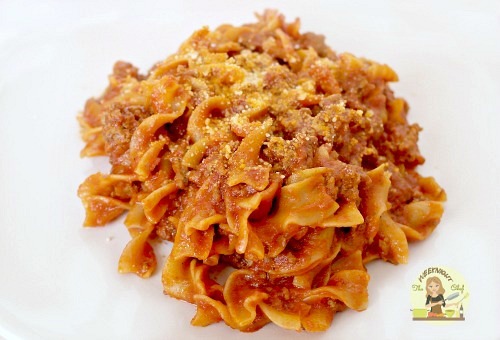 What use to take over an hour to do and cost around $20 has been simplified into a delicious dish that can be made in 20 minutes for around $8. The best part is that there is no need to boil the noodles or use multiple pots and pans. 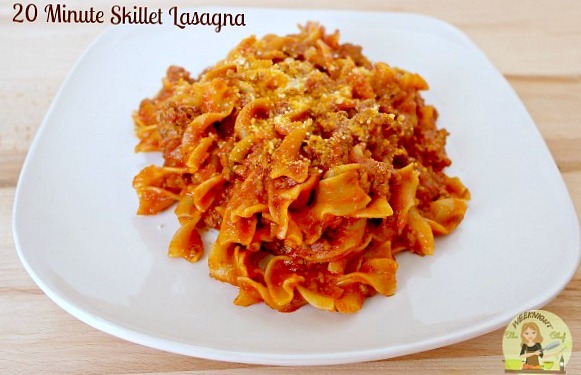 This lasagna is made in one skillet! Brown the ground beef, drain the fat, return to medium low heat. 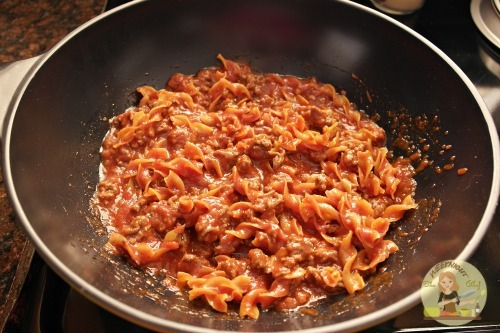 Add the sauce and noodles, increase heat to medium high and cook for 10 minutes. Stir occasionally. 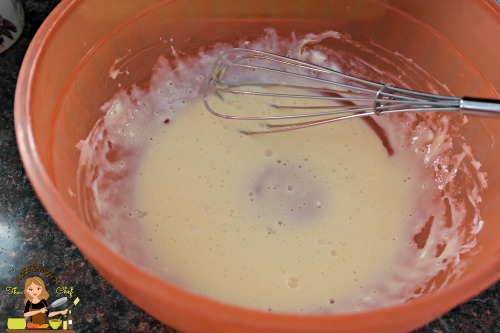 Reduce heat to medium low, add the ricotta cheese , gently mix in, do not mix completely. You don’t want it to blend away into the sauce. Let simmer for 5 minutes. Plate, sprinkle with parmesan, serves 4.